When trying to understand another religion, why should you not ask the adherents of that religion AND its "enemies" (or, at least, its critics)? Do those on the outside, and especially those who have been on the inside) not have value to add? Your comment is curious in light of the subject matter of the post. The point is that adherents of given religions should try to develop a sincere admiration, or holy envy, of a facet of another religious tradition. This is very different from the thrust of your comments. Of course, to understand a religion the best way to do so is to try to develop a fair and informed understanding of it from an insider's perspective as they understand their own religion. This can be dome by discussion with adherents, and supplemented with the best academic descriptive materials. The opinions of "enemies" and critics can be considered, but should be weighed very carefully. If the intent is to understand and positively engage adherents of other religions, why look to the opinions of "enemies"? 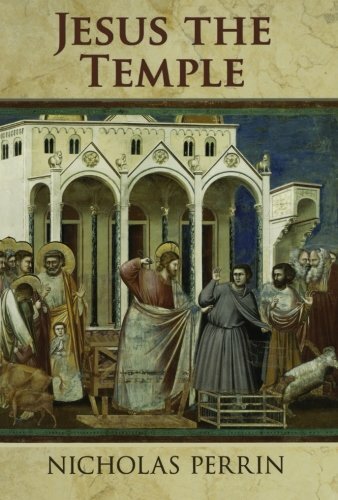 I was wondering if you can address some of the recent studies that show that after the temple was destroyed, Christians incorporated elements of temple practices into other areas of their worship. The abstract you link to does not provide specifics to comment on. There are good studies which indicate that Jesus saw himself as creating a community that would surround him and that he and this community would function as the temple of God. You see this in the New Testament with references to Christ as the foundation and Christians as building blocks. Related to Mormonism and their temples, the practices they engage in are very different from that of Second Temple Judaism, are informed more by the western esoteric tradition, and seem at odds with a process of separation from the temple that Jewish disciples of Christ began to make as the messianic community. I'm Mormon. And you are very wise. Though we see some things differently I can admire your way of putting your words and the points you make. Thank you for your post of Holy Envy and your responses to the comments. Very thought out and enlightening in many good ways.